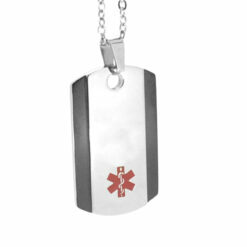 This Stainless Steel Medical ID Necklace is perfect for holding your medical information. 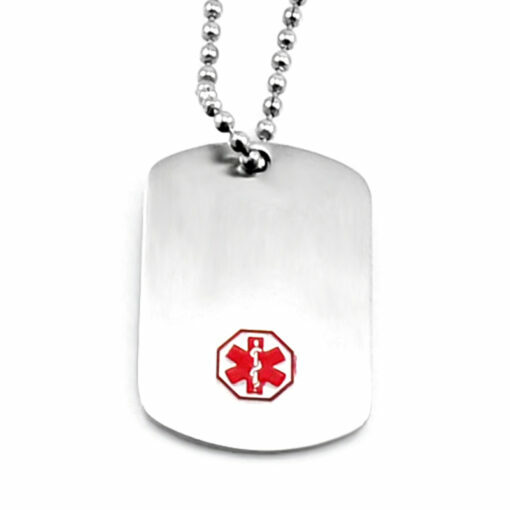 This Stainless Steel Medical ID Necklace is perfect for holding your medical information. 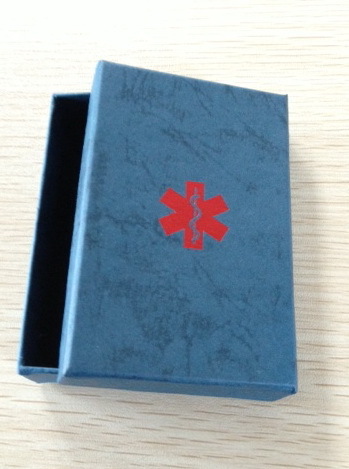 The red medical symbol makes it obvious to medical personnel, while the larger size means that you can fit more of your medical information. 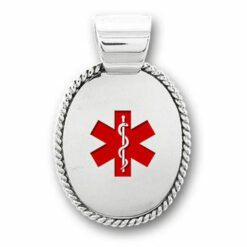 Medical personnel are trained to look for medical IDs in emergencies to help them with diagnosis and treatment. The pendant is made from brushed steel and has rounded edges for comfort and style. The stainless steel chain provided is 27” long so it may be too long for children. You can engrave the back of the ID with 5 lines of text with up to 28 characters per line. 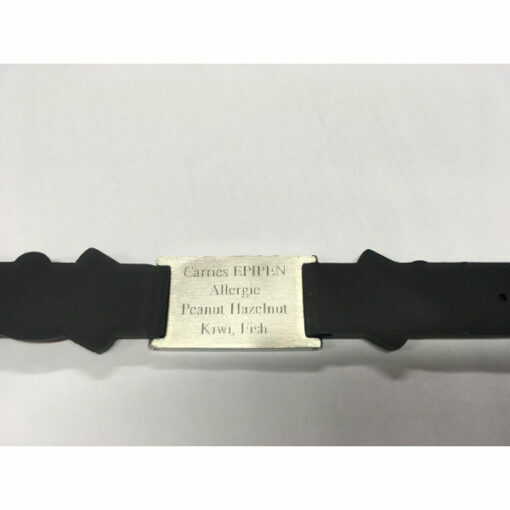 We can either have the ID engraved for you or you can buy it without engraving and have it engraved by your local jeweller. To have the ID engraved, just check the personalisation box and also fill your information in the spaces provided. The medical ID necklace comes with a free presentation box for gifts. Engrave 5 lines of text on the back. Happy with the pendant ,the chain could be stronger for anyone doing physical work. Happy with the pendant, but chain is a bit on the cheap side and could be a little more dressy.